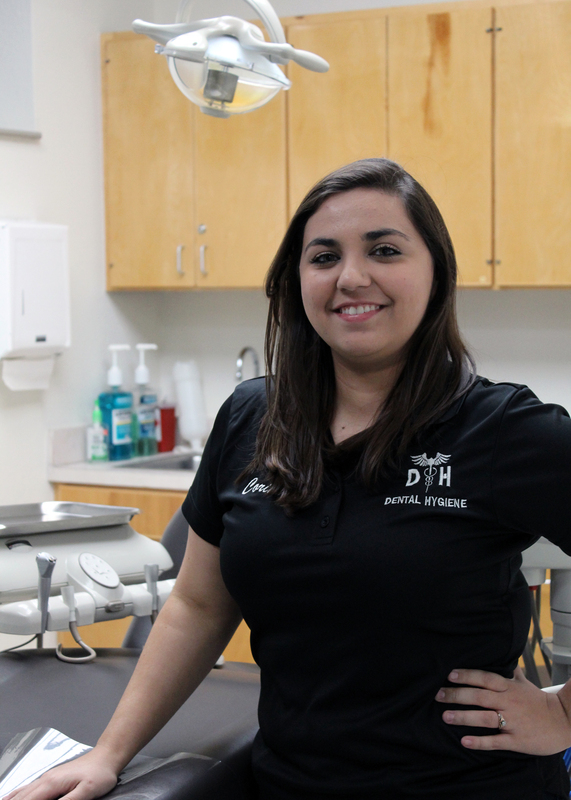 (HARLINGEN) – Monica Corina Garcia is a student in the Dental Hygiene program at Texas State Technical College. The 23-year-old boasts a 3.8 grade-point average and expects to graduate Spring 2019 with an associate degree. When the Indiana native, who moved to Rio Grande City after high school, and mother to a 3-year-old son isn’t busy commuting and studying she is working as a part-time provider on the weekends and serving as vice president of the TSTC Student Chapter of the American Dental Hygiene Association. After I graduate I plan on working as a hygienist; hopefully in Rio Grande City, but I’m open to anything. A smile is the first thing someone sees, so I want to help people love their smiles. Being a hygienist is my dream, which came from my fear of going to the dentist as a child. Learning about it made it easier for me. My original dream was to become a dentist, but life happens so we’ll see where I end up. I’m already a dental assistant and worked three years in the field, but coming to TSTC has helped me grow in confidence when speaking to patients. For me, that’s a huge accomplishment. The greatest lesson I have learned is that anything is possible. I doubted myself a lot in the past. I didn’t even believe that I could get into the dental hygiene program, but here I am. With hard work and perseverance here I am. All of my dental hygiene instructors have had a huge influence on my success. They are our confidants and friends. They’re always there to encourage us and push us when the going gets tough. Because of them, I’m making it through the program. My advice for future TSTC students is to manage your time wisely, don’t be afraid to ask questions and enjoy your college experience.